The company is initiating a stock buyback program, will retire its preferred debt and has a new board member. 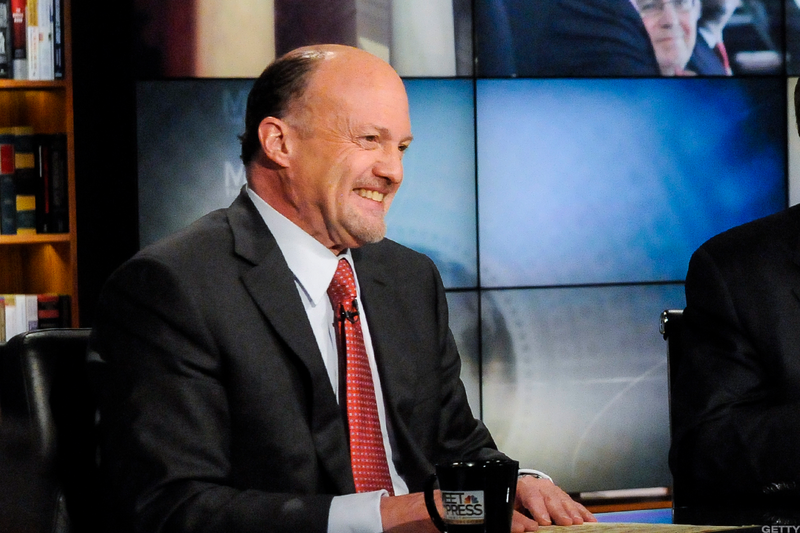 TheStreet Inc. (TST announced Monday, Nov. 13, that it has extended its contract with founder and chief contributor Jim Cramer for another four years through 2021. "Jim's continued commitment to TheStreet is a strong validation of the positive direction the company is heading," said President and CEO Dave Callaway. "Having Jim here and motivated to grow our consumer business will allow the company to maximize its potential and return value to our shareholders." TheStreet also announced Monday that it posted a profit of 1 cent per share for the third quarter, a reversal from a 3 cent loss a year earlier. It's the second consecutive quarter that the company has reported a profit. Adjusted Ebitda totaled $2.1 million, up $2 million from the same period last year. Revenue climbed to $15.3 million from $15.2 million a year earlier. TheStreet's board approved a share buyback program authorizing the repurchase of up to 5 million shares of common stock, or about 10% of the shares outstanding. The company also announced Monday that it has retired an important preferred debt series with Technology Crossover Ventures (TCV), which gives its board more flexibility to pursue several strategies, and added investor 180 Degree Capital in a private placement. With the new investment, 180 Capital CEO Kevin Rendino joined TheStreet's board to bring total board membership to eight directors. Shares of TheStreet were rising more than 30% early Monday to $1.21.